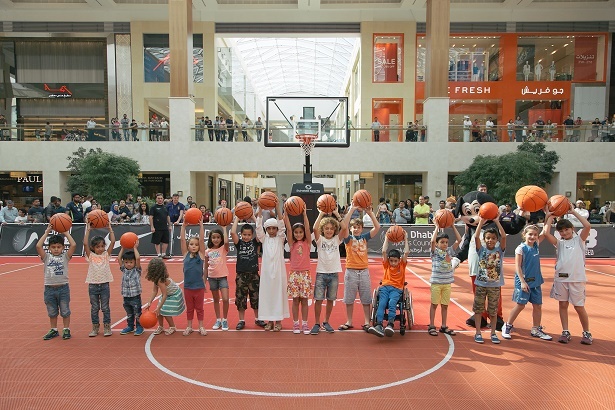 The first ever sport event held in Yas Mall, Abu Dhabi 3×3 Basketball Challenger, was an instant hit and people gathered in large number around the court, placed in Town Square, to see the best players and the best basketball entertaining acts in the world. With 16 teams from nine different countries, this was the most important 3×3 basketball event ever organized in UAE and was the perfect preview of the FIBA 3×3 World Tour Final that will take place on 15th-16th October in Abu Dhabi. 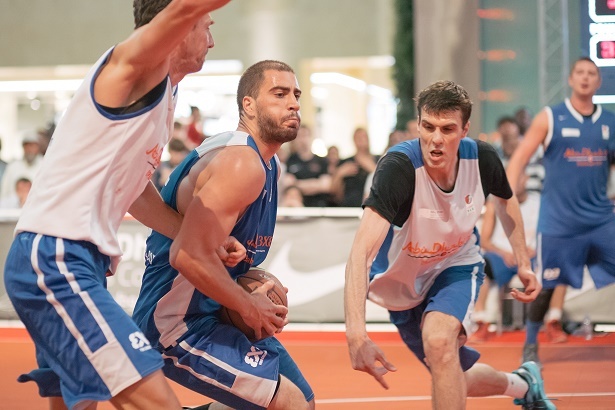 Team Al Wahda Abu Dhabi proved again that is too strong for any opponent, even if 3×3 Brezovica, from Slovenia put up a strong performance in the Final act. But the players from Al Wahda, former World Tour and All Star winners raised the bar too high and they won before the time limit, final scor 21-14. Al Wahda earned the second title in just one week, after the Abu Dhabi 3×3 Basketball Tour and now they earned their right to compete also in Manila FIBA 3×3 World Tour. They also cashed in the 10,000 USD money prize for the first place, while Team 3×3 Brezovica earned 2,500 USD. Stars on the basketball court were not only the players but also the Freestyle Force from Da Move Crew who offered a full Italian flavor show, involving spinning basketballs, dunking, trial biking and parkour. Kids enjoyed the show more than anyone, with basketball themed face painting, basketball mascosts and basketball givewaway’s and they were also involved in contests on the main court. 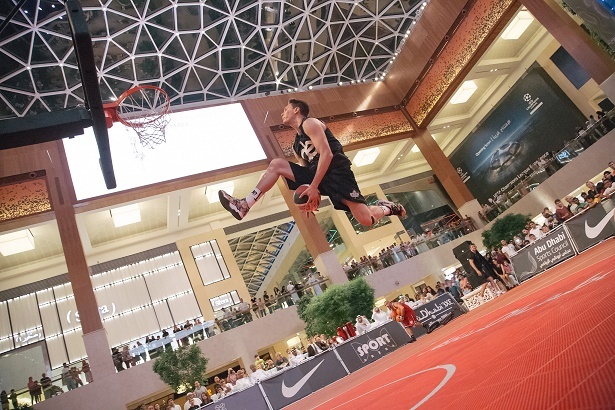 The slam dunk show, with Porter Maberry and Dimitry Kryvenko pumped up the atmosphere in the Town Center of Yas Mall. It looked that for Kryvenko the whole dunking process was easier than a walk in the park and he even got involved in the freestyle act of Da Move. The free throw pursuit contest was won by young Andrei Calinic, from the Romanian team Steaua CSM EximBank Bucharest, who managed to overpass more experienced players during the final round. Abu Dhabi 3×3 Challenger officially ends the spring season for 3×3 Basketnall. More tournaments will be organized in Abu Dhabi Emirate, starting middle of October, after the FIBA 3×3 World Tour Final. Abu Dhabi will be this year, through this event, the capital of 3×3 Basketball in terms of organization, number of players of spectators. Previous PostTop class freestyle show in Yas Mall, at Abu Dhabi 3×3 ChallengerNext PostThe road to Abu Dhabi will start in one month!